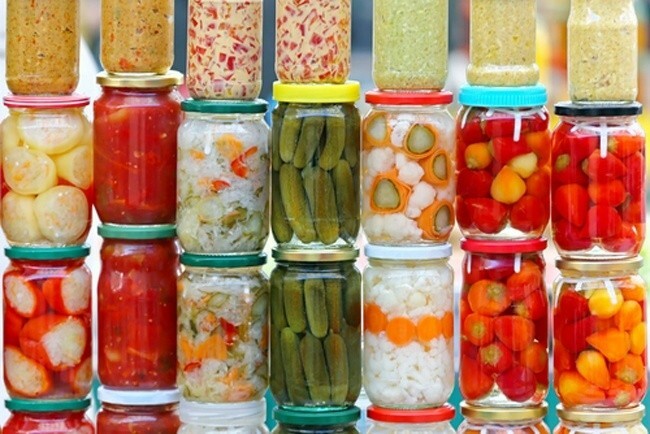 There’s loads of talk these days about lacto-fermented foods and their beneficial probiotics. Kefir, kombucha, kimchi, and sauerkraut come to mind. These foods have hit the spotlight because of the research around gut health. The saying goes that health begins and ends in the gut, and probiotics keep the gut healthy. So let’s look at lacto-fermentation, if you’re not already well-versed in this food preparation technique. First, to dispel the most common myth about lacto-fermentation, it doesn't necessarily have anything to do with dairy. Instead, the lacto refers to lactic acid. All fruits and vegetables have beneficial bacteria such as Lactobacillus on the surface. In an anaerobic (oxygen-free) environment, these bacteria convert sugars into lactic acid, which inhibits harmful bacteria and acts as a preservative. It's also what gives fermented foods their characteristic sour flavor. 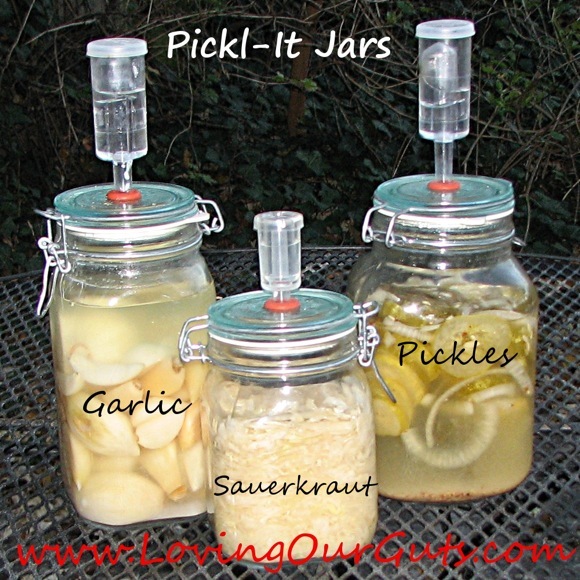 Pile the ingredients in a jar, add salted water, cover the jar, and let the bacteria do their thing. You can put the jar in a cupboard, but if you leave it out on the counter you can see and taste what's going on. 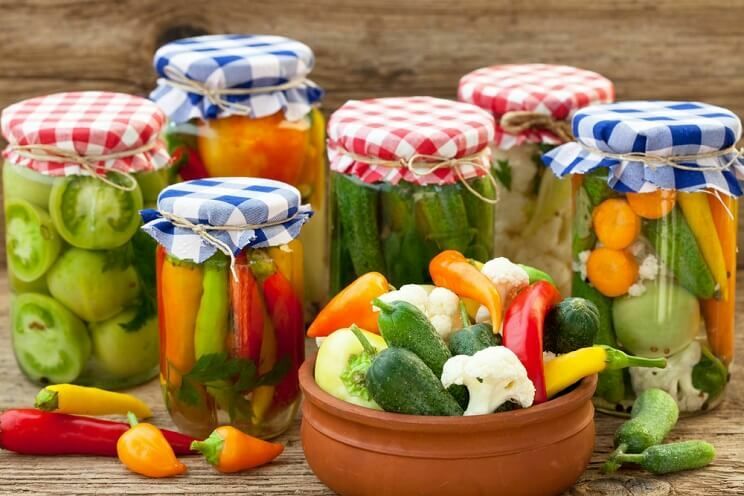 The vegetables will be ready when they taste and smell good to you — anywhere from a few hours to a few weeks depending on the ingredients and environmental conditions. It’s common to have a batch be ready and tangy in three days. A few notes on equipment: It’s helpful to weigh down the ingredients with a small bowl or jar that fits inside the larger jar. This is not necessary, but it helps keep the vegetables submerged under the brine and prevents mold growth. If you do encounter any mold or yeasty scum, simply skim it off. A jar fitted with an airlock (similar to a Pickl-It), blocks oxygen yet releases carbon dioxide that’s produced during fermentation. But again, you don't need this equipment. A plain old mason jar works fine. 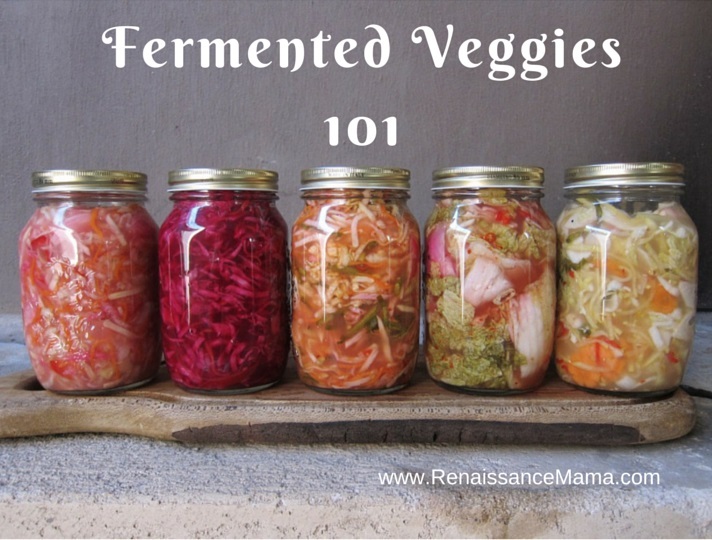 And here’s another idea for introducing some lacto-fermentation into your diet. It’s an easy lacto-fermented drink that you can make with basic ingredients from your grocery store (and your kids or grandkids will probably even drink it!). 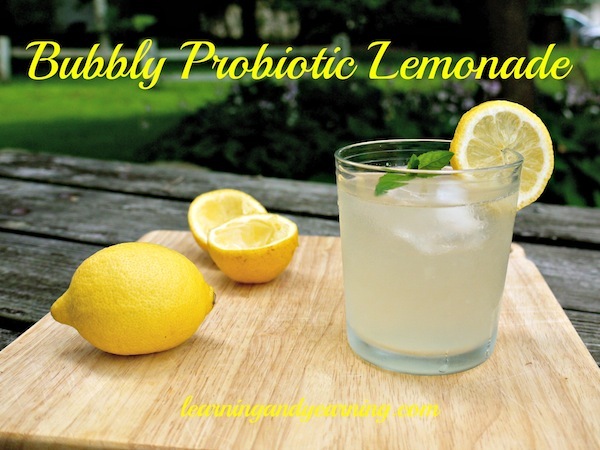 This is a probiotic lemonade; it’s very easy to make, it’s ready in just a couple of days, and it tastes terrific. The beauty of this drink is that you don’t need anything special such as water kefir grains or a kombucha starter (scobi) to make this. Just lemons, whey (you can get this by straining full fat plain yogurt), sugar, and water is all you need. A word on the water, however: You do want filtered water. Chlorinated tap water will pretty much prevent fermentation. I’ll close with this wonderful recipe from Wellness Mama (www.wellnessmama.com). It is lemonade season, after all. 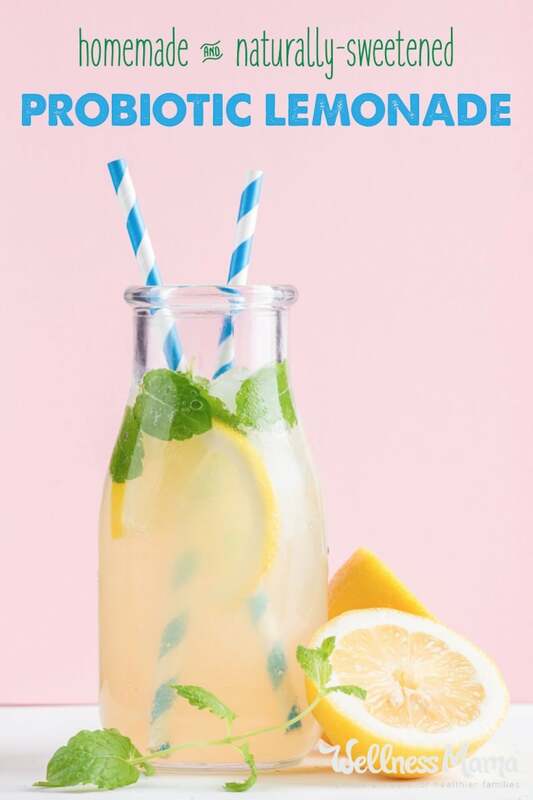 So why not up the game by serving a lemonade that can actually boost your health? Pour the sugar into the gallon size glass jar and add just enough hot water to dissolve the sugar. Add lemon juice and fill the jar about 3/4 full with filtered water. Make sure the liquid is at room temp and add the whey. Cover tightly and let sit on the counter for 2-3 days. The longer it sits, the less sugar in the final product. After 2-3 days, keep in fridge and drink 4-6 ounces per day. The flavor will continue to develop in the fridge. Since the sugar ferments out, it is rather tart. Add a couple drops of stevia if it is too tart for you! Lemons or limes can be used, or a mixture of both. You can add about 1 teaspoon of molasses to the sugar before dissolving to add extra minerals and make a slightly sweeter taste. Blending this with ice cubes makes a delicious smoothie.